This is a game board I made. It's mirror with the design etched on the back side mounted in a hardwood frame with LED lights. It really pops with the lights out or any low light situation. 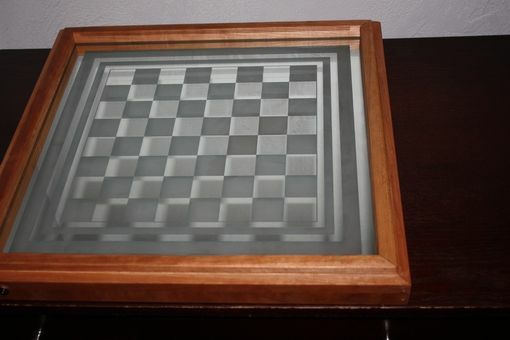 This game board is approx 20" x 20". The squares measure 1 1/2". 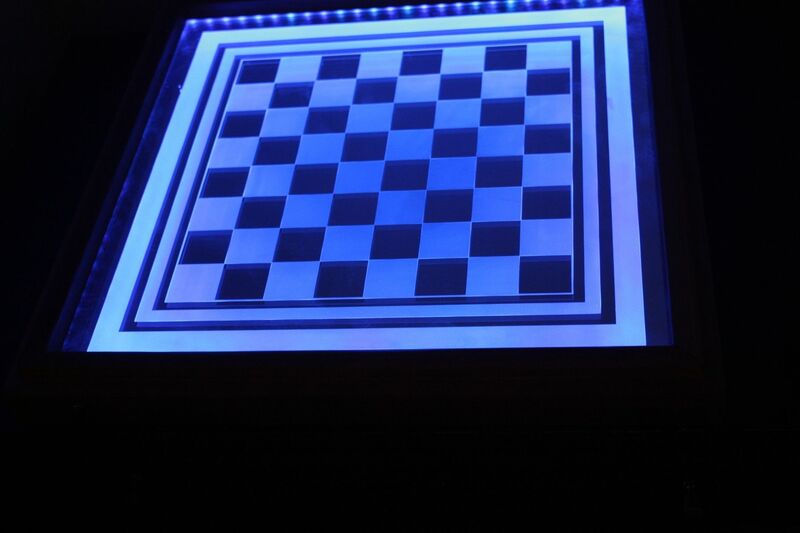 Large or small, I can create a game board just for you. Great for any custom game pieces. I can customize most items I create so feel free to contact me with your ideas.